Every year, for the past decade, an anonymous man in Fort Collins, Colorado, has written a hefty check to a local Goodwill store. The purpose? To delight children — and their families — around Christmas time. In the years that have passed, he has not tired of delighting people of all ages. Such is fortunate, for he and his family kept with the tradition again this year. Last Saturday, the anonymous man and his wife visited a Goodwill establishment and purchased all of the toys in the children’s section. He then requested that each visiting child be allowed to take one item of their choosing home — for free. In the days leading up to Saturday, store staff members set aside extra toys to make sure no child left Goodwill empty-handed. According to the Coloradoan, there was an abundance of educational books and toys. 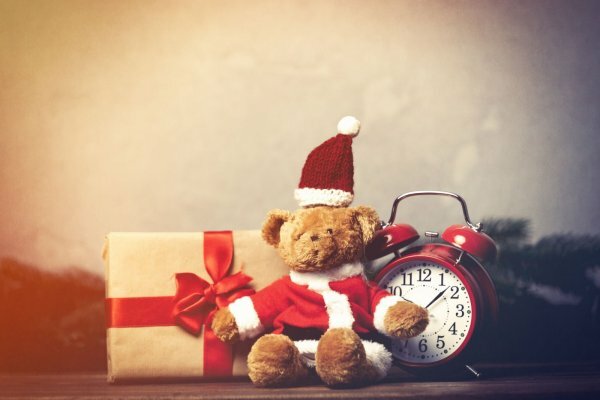 When the Secret Santa was asked why he continues buying toys for the children, he replied that it has become “an important part of his family’s Christmas tradition.” Many people in the community are grateful for the charity, as it means more families are able to acquire goods their children might find precious. Wakefield was the store manager at the Fort Collins Goodwill the same year the anonymous individual made his first donation. Though he now works at Goodwill’s corporate office, he made sure not to miss this year’s event.
? 5 Practical Tips To Avoid Overspending This Christmas California Wildfires Now Larger Than New York City and Boston — Combined ?